The other day, I had a very interesting observation. 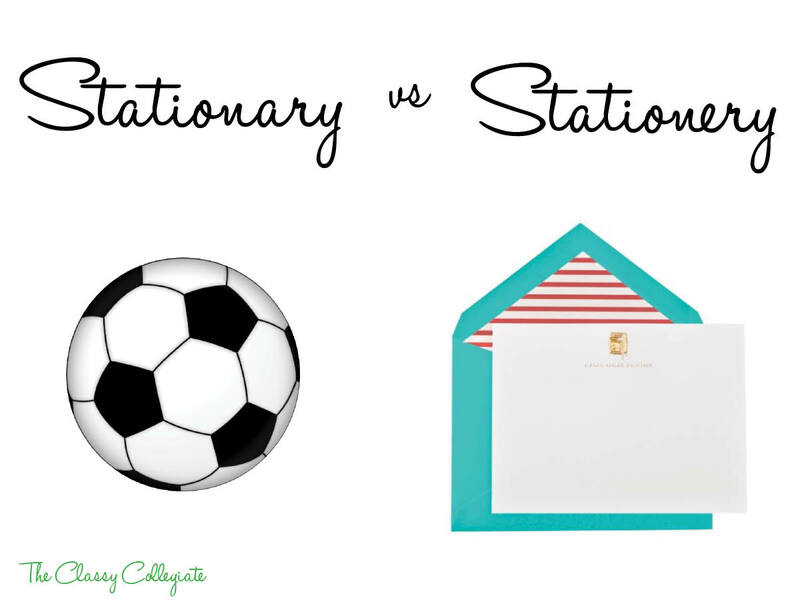 When you google image search stationary or stationery both results are essentially all cards. I was writing something about stationery (the card version) and couldn’t remember quite how to spell it. It’s no secret that I’m not a very good speller, I rely on spell check a lot more than I should. I googled both versions of the word & both had the same results. I knew one of them was wrong so I consulted dictionary.com and figured I would share a mini grammer lesson with you! The puppy was stationary when he was told to sit down. Julie purchased special stationery for her wedding thank you notes. How cute is this Kate Spade Signed, Sealed & Delivered stationery? ?